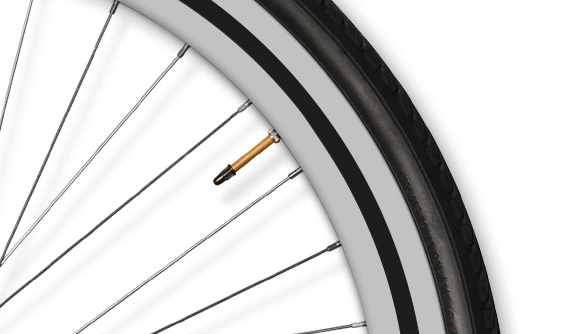 Tyres, arguably, are a pivotal piece of equipment in your ride. In fact, they are the only part of a vehicle that actually meets the road. And as the ‘rubber meets the road,’ a well cared-for tyre makes the difference when it comes to safety, proper mobility as well as your motoring costs. Take care of your tyres and they will take good care of you and your ride. Even if you have not put too many miles on your tyres, checking them regularly will only take a few minutes and ensure longevity. Here are some recommendations to help you look after your Metro tyre. 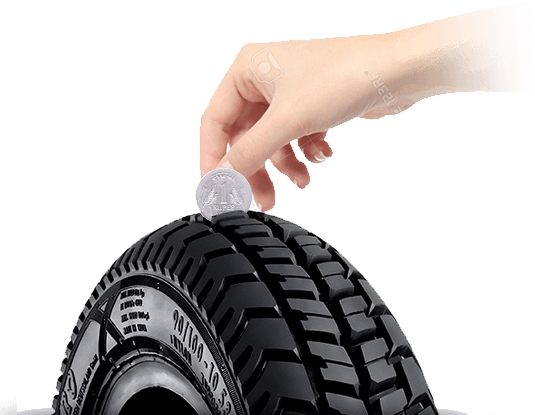 These simple tips enable you to get the best out of your tyres and tubes and, in turn, create that cushion of reliability and comfort in your vehicle even as you preserve the quality and performance of your tyres. At any given time, only a small area of the tyre is in contact with the surface of the road. This ‘Contact Patch’ is, in effect, just as big as the size of your palm. But then, this small area supports the entire weight and manoeuvring (steering, acceleration, braking etc.) of the vehicle. It is critical that you select the right tyres, best suited to your vehicle, the roads you usually traverse and your driving requirements. Regular and proper maintenance of the tyres should be next in your To Do List. Regularly checking the tread depth and replacing the tyres when they are worn (i.e. tread depth has reduced below the prescribed level or there are visual signs of uneven wear or smooth areas), depending on the life of the tyre and usage, works well for ensuring that safe drive. Maintaining right tyre pressure and proper vehicle maintenance contribute towards your tyres lasting long and is the best and easiest solution for cutting down premature treadwear and damage to the internal construction of your tyre. It also ensures fuel efficiency and control of the vehicle while driving besides extending the life of your tyres and your vehicle. Tyre pressure can drop due to punctures, natural escape of air through the tyre’s components and decrease in ambient temperatures. It’s advisable to check tyre pressure, including that of the spare, monthly and before long journeys, preferably when the tyres are cold. The recommended tyre pressure can usually be found in the user manual of your vehicle. 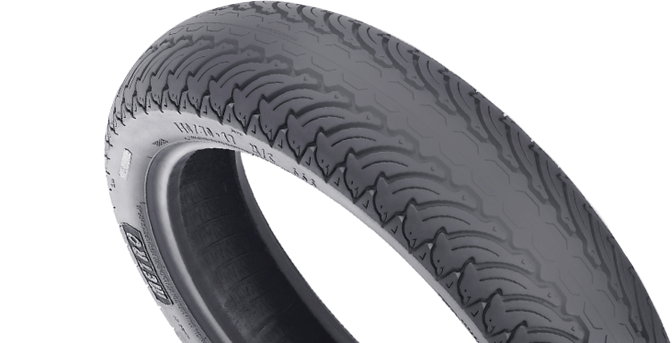 Underinflation increases treadwear on the tyre’s edges and generates excessive heat while in motion. 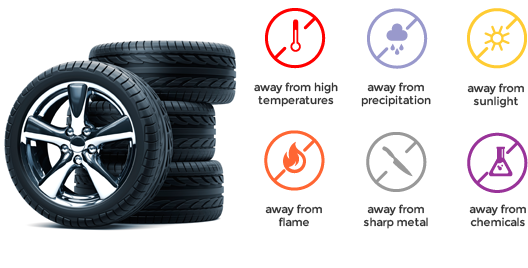 The tyres go soft, increasing rolling resistance and reducing fuel economy. Overinflation, on the other hand, increases wear on the centre tread. Valves and valve caps ensure an airtight seal in your tyre and are critical to maintaining proper tyre pressure over longer periods. They are an inexpensive way to ensure longer tyre life and driving safety. Usually made of rubber, valves and their components are subject to deterioration, cracking and bending over time. When you drive at high speeds a weakened valve can lead to air loss compromising safety. The valve cap is equally significant as this simple gear ensures an air seal and inhibits dust and dirt particles from entering the tube. Checking them regularly and replacing them when putting on new tyres is a good maintenance practice. 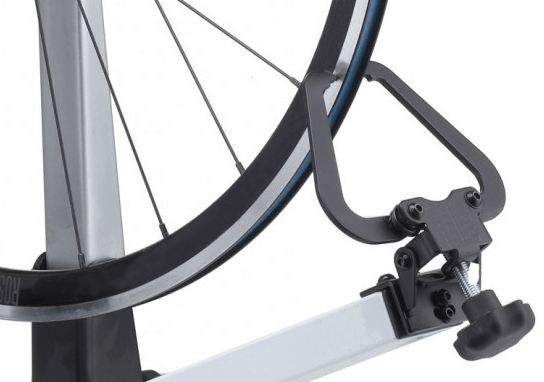 Are your wheels in balance? 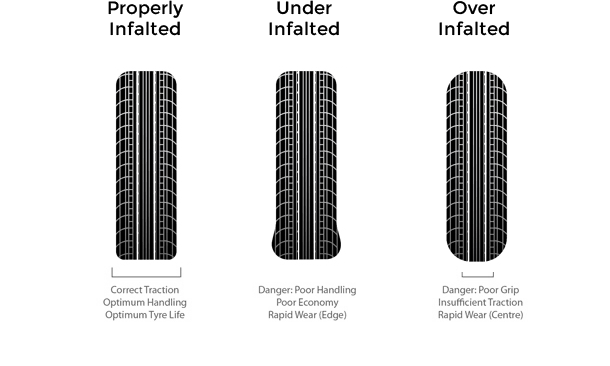 Do you notice uneven, rapid treadwear on your tyres? Feel vibration while driving your vehicle or more stress on front-end parts causing them to wear prematurely? Perhaps your wheels are out of balance. Keeping your wheels in good balance cuts down vibration and averts premature wear of the tyre treads. It also helps extend the life of the vehicle’s steering system, suspension and bearings. If one area of your vehicle feels heavier or lighter than others, it’s a cue that your wheels may be out of balance. It’s advisable to go for wheels balancing each time a tyre is replaced, a balance weight is moved or when you put new tyres. 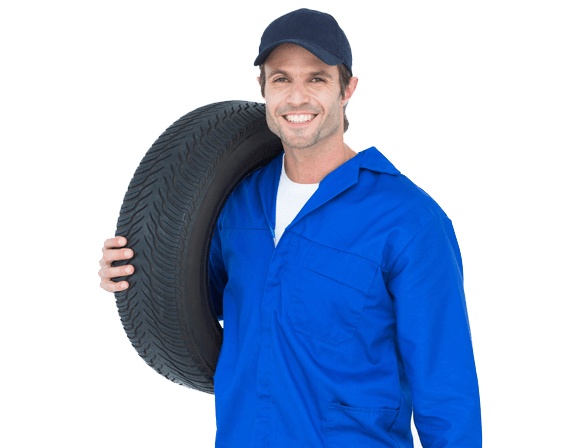 It’s important to go to a tyre specialist when your tyre needs repairing and ensure that he checks for both the external surface repairs as well as any internal damage to the tyre and the wheel which may not be visible on a mounted tyre. It’s equally critical to make sure that the repaired tyre is properly remounted as improper mounting can lead to serious injuries. Some key points to consider while repairing a tyre – complying with the procedures for assembly, disassembly, balancing and inflation (air pressure) of the tyre and the replacement of the valve. Ideally, take a brief drive with the specialist to ensure the tyre is refitted correctly, optimising handling and comfort. Know the service life of your tyres. It depends on the materials used in the tyre besides road conditions, weather, storage time and conditions prior to use etc. Regular inspections (at least annually) are highly recommended for detecting any aspect that may be critical to removing and replacing tyres. These become more critical if your tyres have been in use for more than five years, display signs of treadwear or seem to lose grip while in motion. Pay special attention to rear tyres as these are not connected to your steering wheel, making it more difficult to judge their grip. If you are changing to only two new tyres, fit the tyres with the deepest tread depth on the rear axle. However, when replacing old tyres, fitment of all four tyres of the same type and size is highly recommended. If you take care of a few simple aspects, your not-in-use tyres will last well when in storage. If your plan to stack them one on top of another make sure they are assembled and inflated. Do not place any heavy object that may crush the tyres on top of the pile. Make sure that they are stored in a ventilated and dry place at temperate temperatures, away from precipitation and direct sunlight. Most importantly, ensure that they stay protected from flames, heat sources and anything that may catch or spark a fire, e.g. electrical, batteries, generators etc. Keeping your stored tyres safe from chemicals, solvents or hydrocarbons is as critical as keeping away sharp objects like pointed metals, wood etc. that can penetrate and tear the rubber.